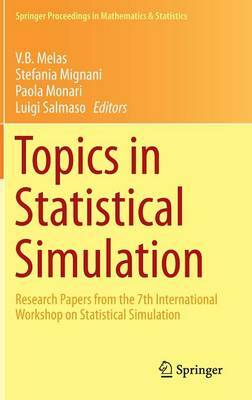 The Department of Statistical Sciences of the University of Bologna in collaboration with the Department of Management and Engineering of the University of Padova, the Department of Statistical Modelling of Saint Petersburg State University, and INFORMS Simulation Society sponsored the Seventh Workshop on Simulation. This international conference was devoted to statistical techniques in stochastic simulation, data collection, analysis of scientific experiments, and studies representing broad areas of interest. The previous workshops took place in St. Petersburg, Russia in 1994, 1996, 1998, 2001, 2005, and 2009. The Seventh Workshop took place in the Rimini Campus of the University of Bologna, which is in Rimini's historical center.